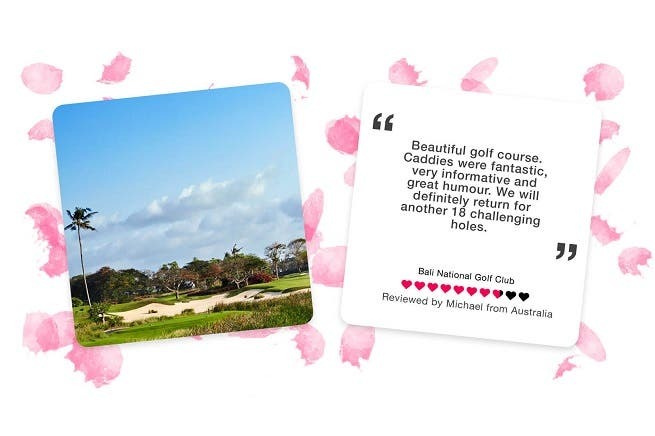 What’s a better day than Valentine’s Day to spread some love towards beautiful golf courses across the world? Discover golfscape’s most loved courses in some of our favorite golf destinations. 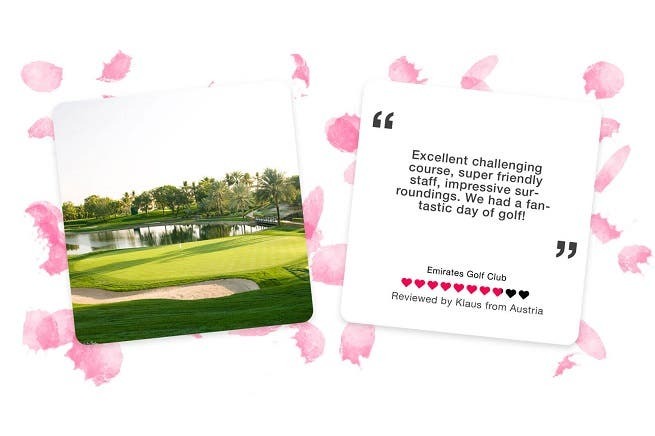 Read the reviews from the golfers that have fallen in love with the courses that they chose to tee off at. The Most Loved Course in Abu Dhabi is Yas Links. It comes as no surprise that the UAE’s first true Links course is a favorite amongst golfers. With remarkable surroundings, Yas Links is an investment in leisure, people, nature, and the environment. The Most Loved Course in Bali is: Bali National Golf Club: The luxurious golfing experience offered by Bali National is truly world-class. With 3 distinct playing environments, the Hawaiian-styled golf course is known as one of the best golf resorts in Asia. 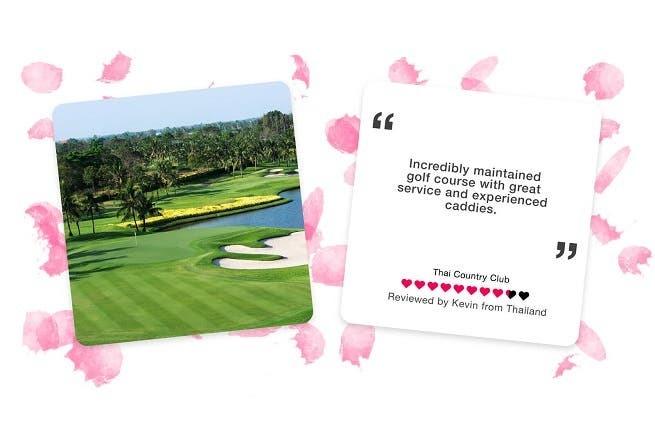 The Most Loved Course in Bangkok is: Thai Country Club. Thai Country Club continuously transforms from everyday golfing experience to a challenging game for international tournaments. 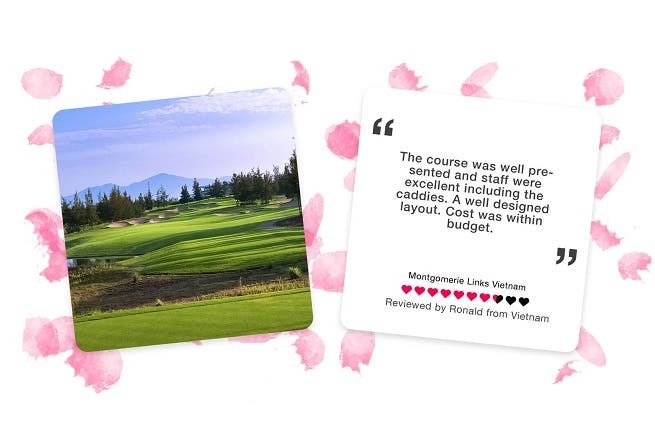 Although renowned as one of the most elite golf courses in Asia, it is widely recognized for having the friendliest and most professional staff. 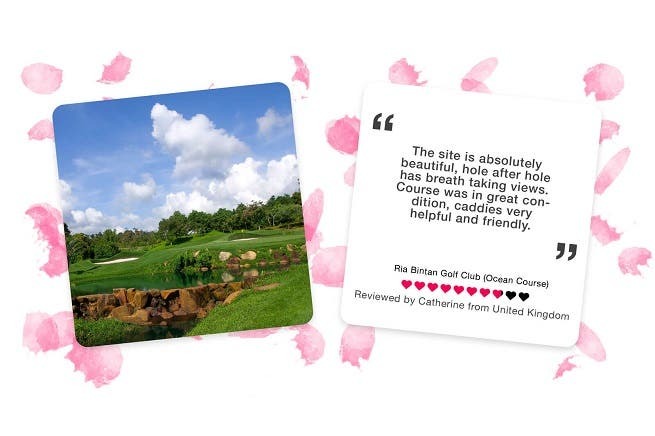 The Most Loved Course in Bintain Island: Ria Bintan Golf Club(Ocean Course) Set among white beaches, crystal clear waters, and dreamy tropical forests, it is no wonder that Ria Bintan Golf Club is rated highly amongst players. 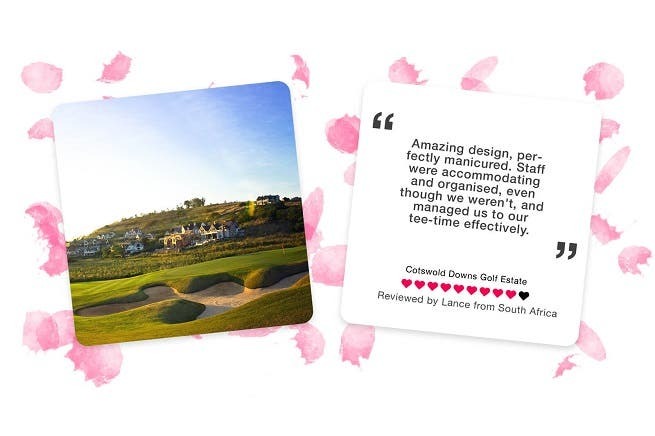 Designed by the golfing legend Gary Player, the unique environment of the course makes golfers fall in love every time. 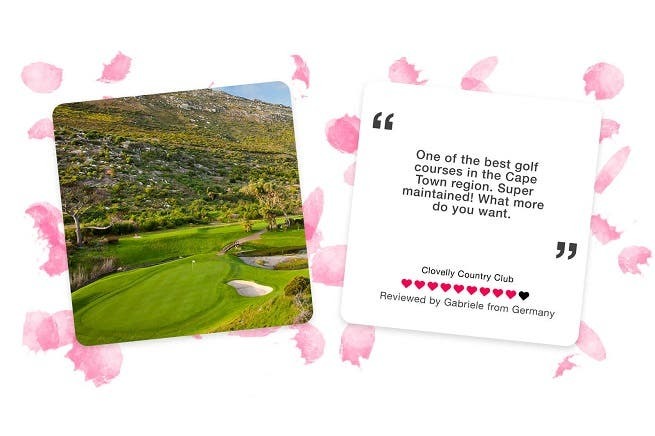 The Most Loved Course in Cape Town is: Clovelly Country Club. Ranked as one of the finest courses in Cape Town, Clovelly Country Club is a picturesque and challenging course. Designed by Dr. Charles Molteno Murray, Clovelly is famous for its natural sand dunes and water features – each hole having a distinctive setting. The Most Loved Course in Da Nang is: Montgomerie Links Vietnam. Designed by Colin Montgomerie, Montgomerie Links is acclaimed by local and visiting golfers as a challenging yet eminently enjoyable course – catering to players of all abilities. With natural characteristics in each site, the course has many outstanding natural features. The Most Loved Course in Dubai is: Emirates Golf Club. Surrounded by meandering fairways and lakes, the Majlis Course is the first grass course in the Middle East. Emirates Golf Club is home to many European and PGA Tour events, the course frequently welcomes the world’s top players such as Tiger Woods and Ernie Els. The Most Loved Course in Durban is: Cotswold Downs Golf Estate. Renowned as one of South Africa’s finest, manicured golf courses, Cotswold Downs blends smoothly with its undulating fairways, bent grass greens, and exceptional natural water features. Cleverly designed by Peter Matkovich, the course layout allows it to stay lush all year round. 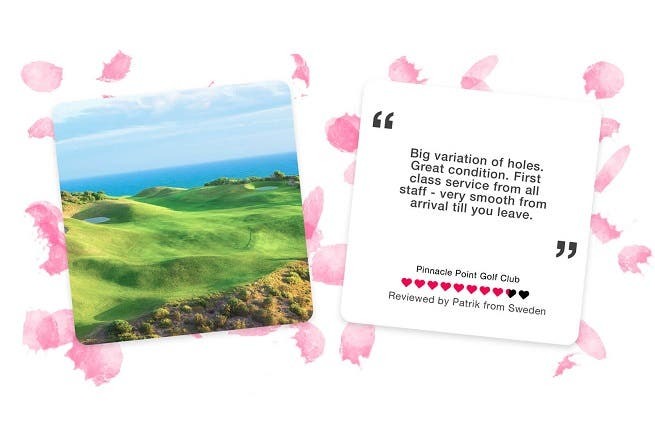 The Most Loved Course in Garden Route is: Pinnacle Point Golf Club. Constructed on one of the world’s most dramatic coastal sights, Pinnacle Point boasts magnificent views of the ocean. With multiple tee boxes per hole, the course challenges the most talented golfer as well as the average golfer. The Most Loved Course in Johannesburg is: Royal Johannesburg & Kensington (West Course). The 130-year-old Royal J&K is one of the most prestigious golf clubs in South Africa. Home to many annual professional golf events, the West Course is favored by members for its playability by all skill levels. The Most Loved Course in Marbella is: Real Club Valderrama. Often described as one of the best courses in Europe, Real Club Valderrama is loved by industry professionals as it poses a real challenge to golfers. Featuring world-class fairways, the course is designed to invite thought and daring precision. 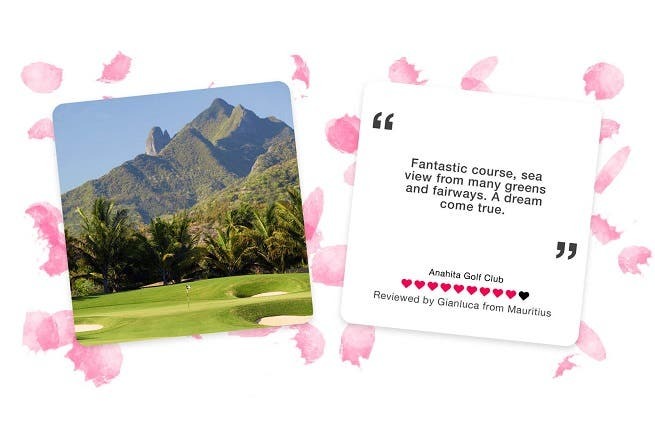 The Most Loved Course in Mauritius is: Anahita Golf Club. Situated on the east coast of Mauritius, Anahita Golf Club is a tropical sanctuary offering golfers the world’s most beautiful finish. Ernie Els designed the course to preserve the natural beauty of the coastline, the rocky outcrops, and the views of the mountain. 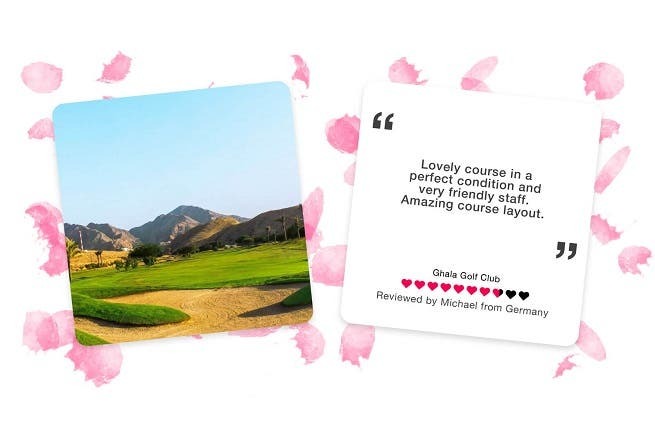 The Most Loved Course in Muscat is: Ghala Golf Club. Ghala Golf Club started out as a 9 hole course and has since then been transformed into a challenging 18 hole course. Designed by Bill Longmuir, the course sets into a wadi, with the dramatic Al-Hajar mountains resting on its sides. 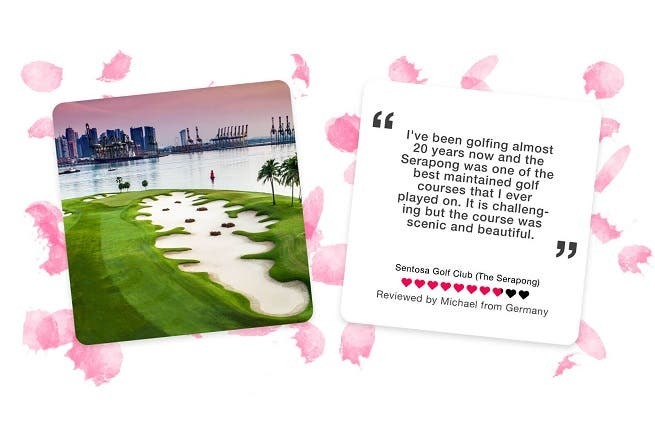 The Most Loved Course in Singapore is: Sentosa Golf Club (The Serapong). Opened in 1982, the Serapong is a challenging par-72 course and is one of the top 5 championship courses in Asia. The course was recently renovated in 2007 and now boasts bunker complexes and water hazards. 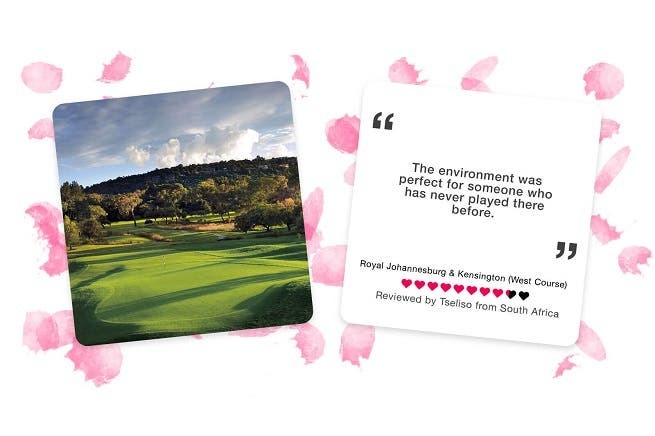 The Most Loved Course in Johannesburg is: Royal Johannesburg &amp; Kensington (West Course). The 130-year-old Royal J&amp;K is one of the most prestigious golf clubs in South Africa. Home to many annual professional golf events, the West Course is favored by members for its playability by all skill levels.